This week's nail of the week is another perfect holiday look. 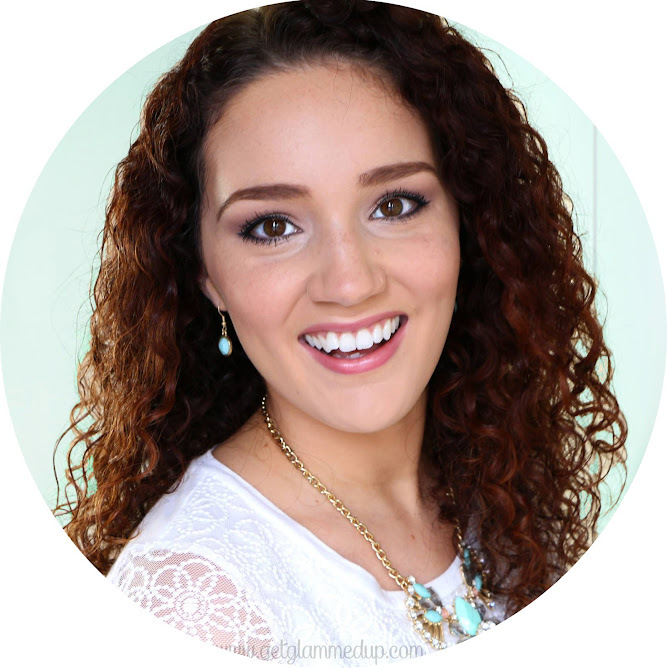 I love a classic red, and it can be hard to find the right red for your skin tone. For me, reds with more of a blue tone look better with my skin versus an orange tone red. This red is the perfect color, and is a cream finish from OPI's permanent line. This is OPI's Malaga Wine with Maybelline Color Show Sequins in Ruby Rhinestones as a glitter accent nail. 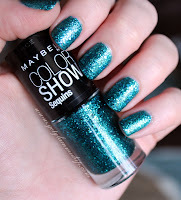 (My last NOTW post talks more about the Sequins line from Maybelline). You can find OPI's Malaga Wine at Ulta for $8.50, or here for about $5. 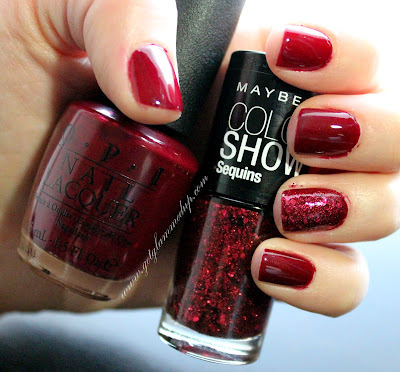 The Maybelline Color Show Sequins in Ruby Rhinestones can be found at drugstores for about $4.